The DCEDC Technology Council is a group of IT professionals from leading area companies, local elected officials and other concerned citizen who have been working since 2000 to improve reliability and access to the most up-to-date telecommunications technology for the entire county. 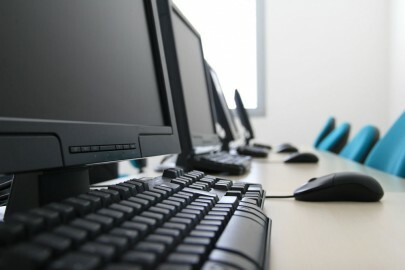 Council members have taken the lead in educating the community on the importance of broadband telecommunications for future economic development. The Council has commissioned and released studies on the available telecommunications infrastructure in the County, a Technology Needs and Market Study, and a feasibility study for a new fiber-to-the-home telecommunications deployment. We are especially excited that 2014 brought a new local service provider to the area, Door County Broadband, who are aggressively expanding their point-to-point wireless broadband service, providing connectivity further into the hard-to-reach areas of the peninsula. The Technology Council also engages with incumbent service providers to continually lobby for service upgrades and improvements. The Council recently supported a proposed tower height ordinance change that would raise allowable heights from 75′ to 100′, to better serve wireless internet service providers. The Council worked to speed up the deployment of DSL service to the City of Sturgeon Bay, supported a new redundant fiber link in the County and encouraged the extension of cable services in Northern Door County. In 2007, Charter Communications, supported by DCEDC, completed a $33,000 upgrade to their facilities to include the Sturgeon Bay Industrial Park for deployment of their “triple-play” data/voice/video services. In 2009-10, DCEDC worked closely with Nsight/Cellcom on an application for federal broadband stimulus funds to improve the countywide telecommunications network. Although the grant application was not funded, the process created opportunity for greater collaboration and support for deployment of a fiber optic telecommunications backbone around the county. Nsight/Cellcom began building their new fiber optic network in Door County in 2011 and began offering 4G services throughout Door County in 2012. The network will deliver high-speed Internet access, increase capacity for data services and expand the wireless network in the entire county. DCEDC and Cellcom worked with city and county representatives to plot a fiber route into Sturgeon Bay that can provide telecommunication services to high-demand users, including the Sturgeon Bay Industrial Park, the hospital, shipyards and others that could benefit from this ultra-high broadband network. The fiber line continues up to Gills Rock to connect all Nsight/Cellcom wireless tower sites in Door County. The rest of the county will benefit from enhanced wireless services, including high-speed voice and data services. 2010 also saw a new telecommunications service provider for the area. In July, Frontier Communications purchased the service area in Northern Door Conty from Verizon. In their legacy territories, they had a 98% penetration of DSL to rural customers, versus 63% for Verizon. Frontier began offering DSL service in Northern Door in late 2011. The first areas served were near the company’s exchanges in Jacksonport, Egg Harbor, Baileys Harbor, Sister Bay and Washington Island. Ephraim, Gills Rock and parts of Fish Creek got DSL service in 2012. The original plan was to enter the market with basic speeds, but while building the network, Frontier determined that it would be in the best interest to provide their total high-speed portfolio. Residents therefore have the option of up to 7mg service. Frontier has also made significant investments on Washington Island to provide DSL service and fill the void left by the departure of IBEC’s “broadband over power lines” service. Door County’s internet service providers and their service areas can be viewed on the Door County Web Map (http://map.co.door.wi.us/map). The map will allow you to find what service providers and data speeds are available at a specific site or property within the county. The map can also show the service coverage area for each of the providers in the county. Instructions for using the Web Map can be found at http://map.co.door.wi.us/map/door/help/Metadata/Broadband.pdf. The telecommunications service provider information on the Door County Web Map is based on data provided to the Wisconsin Public Service Commission by the providers. The map is intended for planning and general use only. Please contact the service provider for site specific service availability.